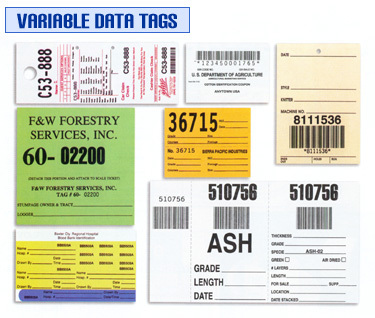 Variable Data Printing, or Ion Deposition, is an available printing technology that allows variable information to be printed in many sizes, typestyles or orientations on a tag. Bar codes are excellent for tracking purposes! Many sizes and variations are available.